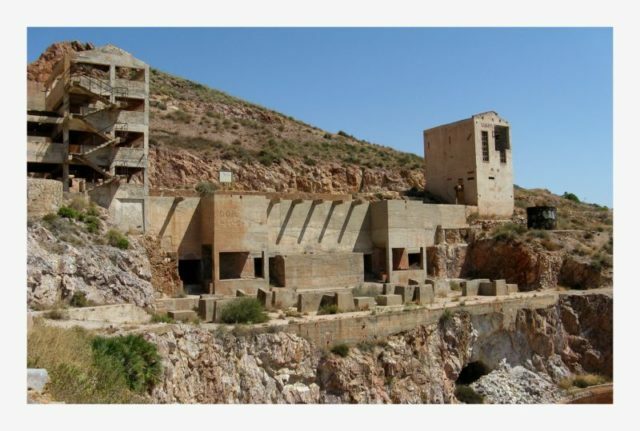 The gold mines of Rodalquilar are located in the very south of Spain, within the Cabo de Gata National Park in the province of Almeria. Gold was discovered near the town by chance, in the middle of the 19th century. The many mines were established and the mountains were being exploited for more than one hundred years before exhaustion. 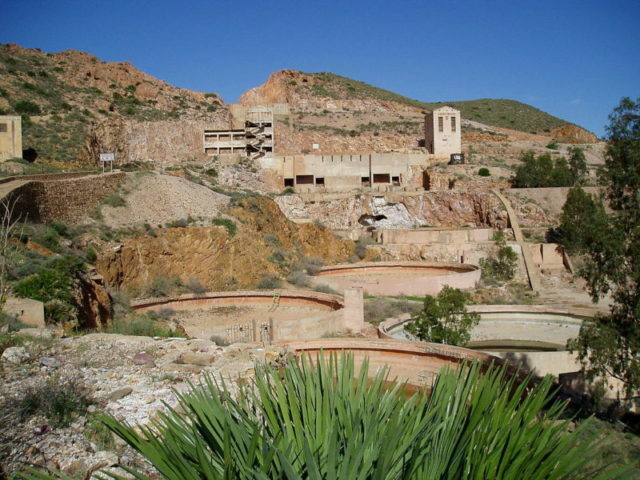 The abandoned Rodalquilar mines and their surroundings have featured in a number of movies, including Indiana Jones and the Last Crusade, the 1972 spaghetti western A Reason to Live, a Reason to Die, and as the post-apocalyptic orphanage in Solarbabies. A number of mines were in operation for the extraction of lead, copper, zinc, and alum for thousands of years before gold was discovered. 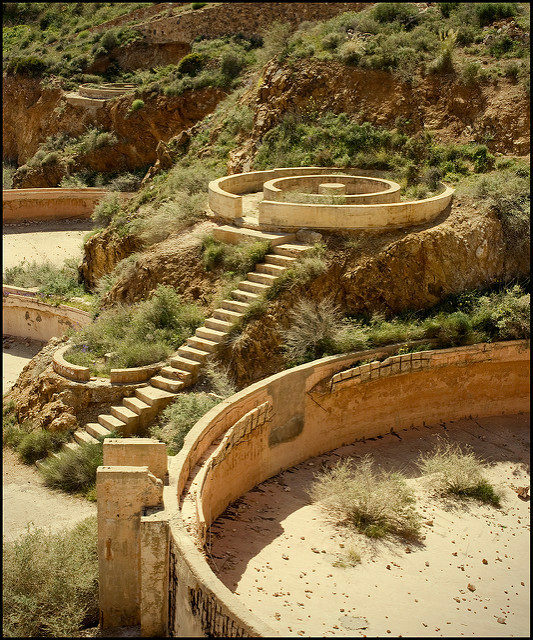 The alum mines, called “tollos,” were very primitive, resembling trenches. 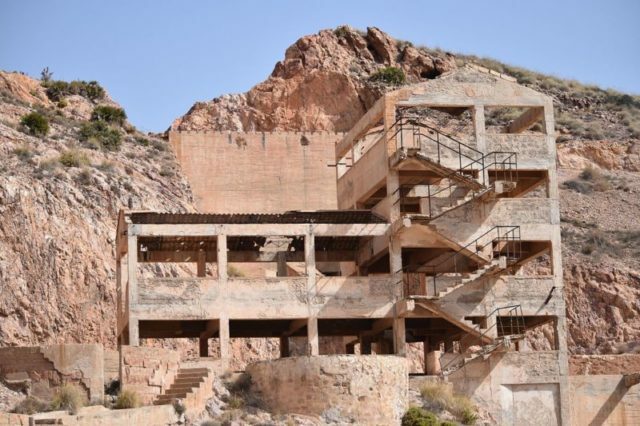 Their history goes back to 1509 when, out of necessity (as Europe lost the Byzantian alum mines to the Ottomans), alum was discovered in the municipality of Rodalquilar. 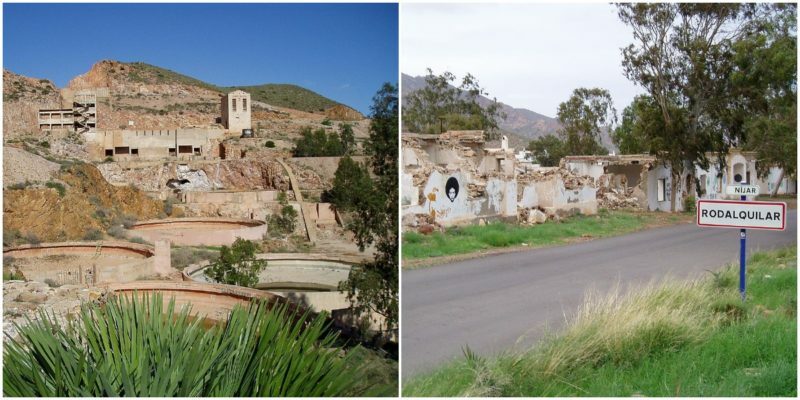 Soon a factory and with it a mining town, also named Rodalquilar, flourished on the spot. Rodalquilar was often a target of attacks and pillages by Barbary pirates. In order to be more protected and secure, a castle was constructed next to the El Playazo road. The gold rush in Rodalquilar began somewhere in the 1880s. Many different companies, prospectors, and complete amateur individuals from different parts of the world started arriving, and with the flow of people came better infrastructure. As the population grew, the town had more and more houses, more community buildings, hotels, boarding houses, two smelters, a school, and a municipality building. 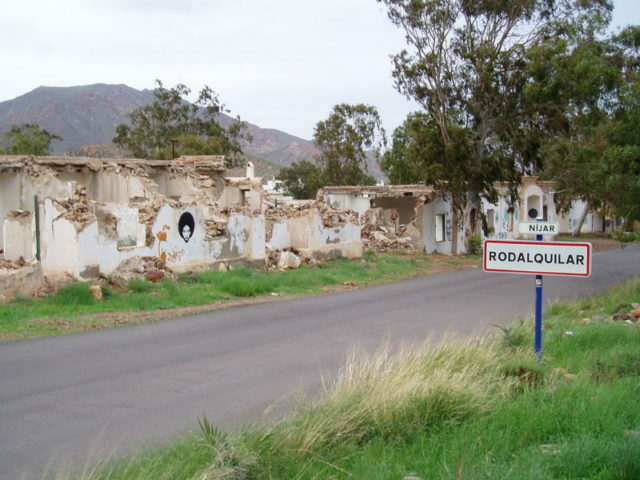 At the peak of popularity in 1960, Rodalquilar had 1,345 inhabitants. But only 25 years later the town’s population fell down to 79 inhabitants. Production ground to a halt during the Spanish Civil War (1936-1939), after which all the mines in the Rodalquilar area were nationalized. The main reason for nationalization of the mines was the lack of gold in the national gold reserves held by the Bank of Spain. This deficit came about because Spain sold much of its gold to the Soviet Union during the war in order to buy military support. The gold that sponsored the Spanish Civil War is also referred to as the Moscow Gold. After many decades of digging and prospecting, there came a time when exploitation of the gold mines was no longer profitable. There were and there still are large quantities of gold in the mountain and under the mine shafts, but the percentage of gold in the ore is too low for it to turn any profit. There is a “rule” that there should be no less than 10 grams (0.35 ounces) of gold in one tonne (1.1 ton) of ore. When the Rodalquilar mines were closed, the concentration was around 5 grams, when they needed at least 7 so that the mines could keep on working. In 1989 a private Spanish company based in Britain, named St. Joe Transaction Inc. y Cia., Sociedad Regular Colectiva, reopened the mines and very swiftly started operating them. But, even faster then it started, came the end of this operation. Only the next year the mines of Rodalquilar were closed off again and this time for good. Experts on this subject say that if the mines are to be reopened today they could turn quite a profit due to the high prices of gold today in comparison to those 30 years ago. It is estimated that around three more tons of gold can be found in the Rodalquilar mines. But for now this operation is completely impossible, as the area was declared a national park in 1987 and mining activity of any sort cannot be conducted. Today the grounds of the many mines around Rodalquilar are very dangerous for visitors. However many people interested in mineralogy, searching for gems, and ghost mine enthusiasts visit the mines every year. There are signs and public warnings from the local municipality that advise tourists and locals of the hidden dangers: landslides, holes, open mine shafts, etc. Still some tourist companies organize guided tours of the area, both inside and out of the mines.